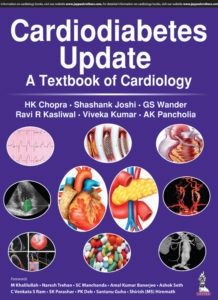 A cardiology textbook entitled Cardiodiabtes Update, authored by HK, Chopra, Shashank R. Joshi, GS Wander, Ravi Kasliwal, Viveca Kumar and AK Pancholia has just been published by Jaypee Brothers (www.jaypeebrothers.com). As India is one of the three countries that make up 50% of the world’s diabetic population (China and the U.S.A. being the other two), according to the International Diabetes Federation, it is reasonable to expect that treatments, like Enhanced External Counterpulsation (EECP) therapy, that have been demonstrated to be effective in treating cardiovascular patients with diabetes in clinical trials and published in peer reviewed medical journals, would be of interest to the authors and physicians in India. The National Institute of Health in 2014 stated that “Diabetes is fast gaining the status of a potential epidemic in India with more than 62 million diabetic individuals currently diagnosed with the disease”. “Cardiodiabetes refers to heart disease that develops in people who have diabetes. Compared with people who don’t have diabetes, people who have diabetes are at higher risk of heart disease, have additional causes of heart disease, may develop heart disease at a younger age, and may have more severe heart disease. With nearly 1000 pages, this manual is a complete guide to the diagnosis and management of cardiodiabetes. Divided into nine sections, each chapter addresses a separate and distinct issue of clinical relevance. 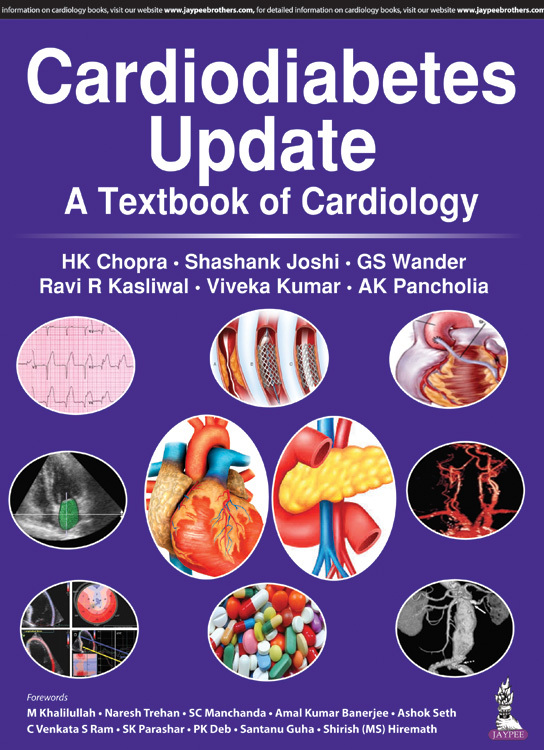 The book provides an insight into clinical spectrum, diagnostic methodology, management strategies, nutraceutical and obesity care, arrhythmia management, coronary intervention, cardiac surgery, rehabilitation, and future directions in cardiodiabetes care. Additionally, the text features discussion on strategies to reduce the growing prevalence of diabetes, and the current pathophysiological understanding of cardiovascular comorbidities in patients with diabetes. More than 500 clinical photographs, illustrations, tables and boxes further enhance the comprehensive text.